. يعمل فندق بينسيون بيرث باي 8 هوتيلز على ضمان إقامة مريحة لضيوفه من خلال خدماته الممتازة وحسن ضيافته. يمكن لضيوف الفندق الاستمتاع بالميزات التالية على أرض الفندق: واي فاي مجاني في جميع الغرف, خدمة التنظيف يوميًا, مكتب الاستقبال على مدار الساعة, تسجيل وصول/خروج سريع, تخزين الأمتعة . تنعكس أجواء فندق بينسيون بيرث باي 8 هوتيلز في غرف الضيوف.تلفزيون بشاشة مسطحة, سجاد, بياضات, مناشف, غرف لغير المدخنين هي بعض الميزات الموجود في العديد من الغرف. كما أن مجموعة الخدمات الواسعة الموجودة في الفندق لضمان راحتك تترك لك الكثير من الخيارات لقضاء وقتك أثناء فترة إقامتك. يشكل فندق بينسيون بيرث باي 8 هوتيلز بخدماته الراقية وموقعه الممتاز، قاعدة مثالية للاستمتاع بإقامتك في برث. يقع العقار بالقرب من 4 مطاعم حلال. يُطبق على كافة معاملات البطاقة الائتمانية ماستر كارد وفيزا رسم إضافي نسبته 1.5%. يتم خصم رسم إضافي 3.5% على معاملات البطاقة الائتمانية أمريكان إكسبرس وDiners Club وUnion Pay. Close to city centre . Easy to get around. Small but clean room. Simple inexpensive accommodation . Nothing flash no pool restaurant etc but close enough to walk to all Perth has to offer including transport options. Basic but had everything you need. Room is small but comfortable enough for me as solo traveler. Have all the things i need inside the room like hair dryer, iron, iron board & kettle. The hotel also have laundry room & parking lot for hotel guest (aud28 for 1 night). Let them know early so they can book for you because the parking lot is limited. Location is superb in the middle of the City. I will surely stay there again. I caught the public bus from the airport. Pensione is an easy walk from the bus stop in St Georges Tce (miles cheaper than a taxi! ), and also close to the busport further away (Perth public transport is not very seamless!!) Plenty of eating places nearby, and you can't get much closer for shopping in all the nearby malls. Rooms at Pensione are small but adequate, a keycard is added security for the lifts. Staff are brilliant, and return customers are treated like family, with a welcome back card and snack waiting on the bed on arrival. Definitely worth it if you can get a good deal on the price. City Center and walking distance to Elizabeth Quay. Has many eateries around especially asian delight and asian supermarket. If you have car, they have parking lot but need to pre-book. It is clean hotel and friendly staff. Queen room is very small but can upgrade for extra payment . They say breakfast but it's express breakfast a bacon egg and cheese panini bacon and cheese croissant or muesli and a coffee or tea . Panini is filling but don't expect a breakfast . Great location great staff. Nothing is to much trouble. Very friendly very clean . Would reccommend . Right in the centre of Cbd - easy walk to all the Cbd shops and entertainment venues - Iva supermarket around the corner - walk to train or free CAT bus service just adjacent. Small but comfortable rooms. This is my second time at Pensione. Everything about Pensione is perfect for what I want. It is priced at what I can afford. Easy to get to from the airport on the 380 bus, easy to get to the Busport or train station, a five minute walk down the road for other transport. Room is small but clean comfortable bed, large enough bathroom. Kettle with tea and coffee making facilities. I feel totally safe and secure. Plenty of places to eat at nearby. Staff are great. I even got a "Welcome Back" note which was a nice surprise! Definitely will stay here again. Booked for a night, in order to attend a sporting event. The hotel is very central, the reception staff are delightful and the room was spotless, with all the necessary amenities. Will definitely return! Dear Patrick, Thank you very much for being our guest and for taking the time to write this review. I am delighted to hear that you enjoyed your recent stay with us and we can't wait to welcome you back for your next trip to Perth in the future! Best regards from all the Pensi Perth team! 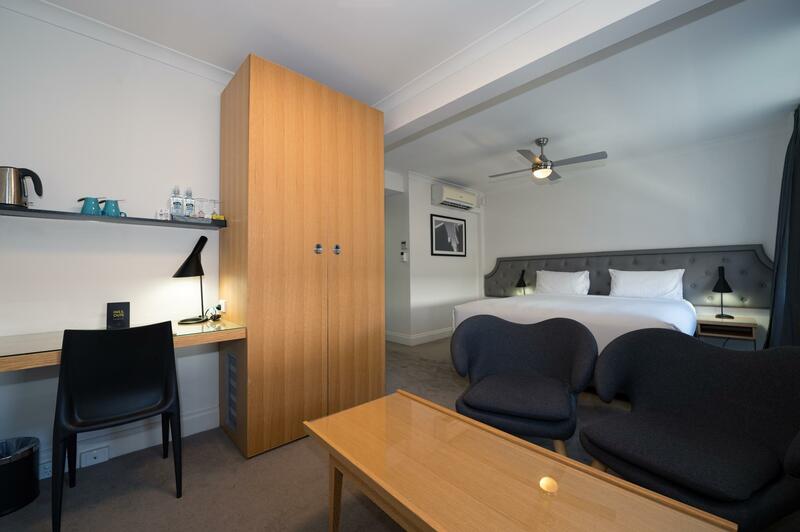 As an overall, Pensione hotel is a great choice to stay in Perth CBD with its walking distance amenities (i.e. restaurants, pharmacies, convenience store etc are just under 100m away from it). There is even a hospital nearby the hotel, just one stop away on the CAT bus. During my 4 nights of stay, I really had a good experience here and I liked it for its strategic location - which it falls within the free CAT zone and about 500m away from the Transperth train station and busport. Moreover, there is a Red CAT bus stop right opposite of the hotel (i.e. 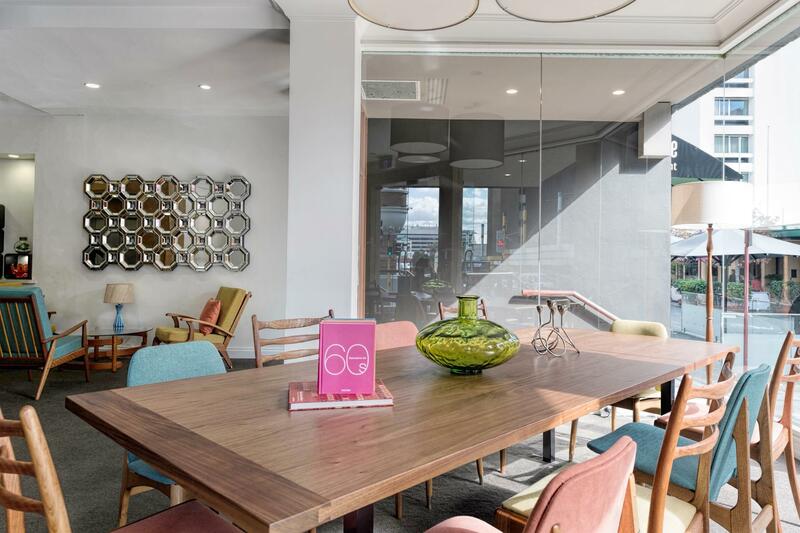 less than 100m across the street, just below Curtin Graduate School) which you can hop on and off for a quick tour to every tourist attraction within Perth CBD. Places like the Perth Mint and St Mary Cathedral are in walking distance from the hotel, great for those who would like to have an evening stroll to the nearest attraction. However, there is one thing to be improved in the hotel, bottled water shouldn't be charged separately. Great location, next door to Hay Street and Murray + walking distance to the Perth Train Station. A red CAT bus-stop is in front of the hotel. Hotel staff are fantastic, always ready to assist with any questions and enquiries. Will stay in Pensione Hotel on my next Perth trip. Best location in Perth City. Near shopping district & lots of restaurant around the area especially for HALAL food. Pensione's location is very strategic, everything is just walking distance. The room is clean and the bed is comfortable. The staff is nice and friendly. Keeping our luggage while we moved to Freemantle was free service too. I really recommended this hotel. Easy access and a walking distance to everything since it is situated in the middle of CBD area.I arrived in the morning and the front desk staff was kind enough to check in room early for me.To find food is not an issue,a few shop/restaurants nearby provide halal foods.Definitely will be coming back to this place to stay if I travel here again. Small room bit very good price-service relationship.